Communicating by text can be difficult at the best of times. Often people interpret the wrong meaning of words because there is no way to pick up on body or facial language. Emoji however make this a little easier and allow us to show an emotion with a character. Emoji originated with social media but until recently the only way to get emoji into text in Windows was to copy and paste them. Now there is an easier way to show emoji in text within Windows 10. Microsoft recently added a feature that allows you to open an emoji window and add emoji into any text box within Windows 10. It is effectively system wide and the window can be opened any time by pressing the period key (.) while holding down the Windows key. The emoji window can even be used in social media text input boxes. 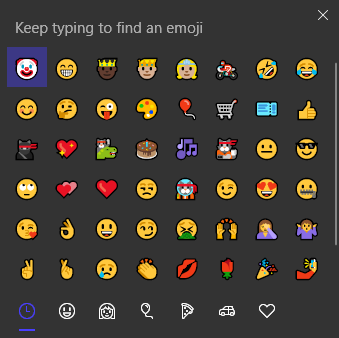 The window shows the emoji you have been using most recently so they don’t have to be searched for. On that note, the window also has a search box that allows you to find an emoji quickly. It’s even possible to name a file/folder using emoji characters. This would be handy if you want to make it had for people to find the file/folder in search. However emoji can even be used to search for files and folders too! Emoji also enable another level of security by using them in passwords. Next time you’re struggling to come up with a new password you may consider adding emoji into the mix. 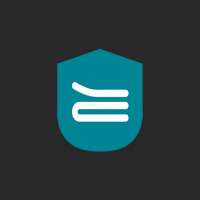 The content of our apps/courses has been designed by experts in their fields.